Update: There is a OKFN pad devoted to discussing this idea. Please add your comments and critique there! Open Science is first and foremost a community effort. In fact we are arguing that reproducibility and comparability should become two of the standard criteria that every reviewer has to judge when assessing a paper. [..] These two criteria should be of equal importance as the established criteria, giving incentive to the authors to actually apply the instruments of Open Science. In addition, journals and conferences ought to make the submission of source code, data, and methodological descriptions together with the paper mandatory for them to be published. Conferences and journals themselves should in turn commit to making the papers openly accessible. The case of the genetic sequence database GenBank, which stores DNA sequences and makes them available to the public, has shown that if publishers and conference organisers adopt new standards, they can be propagated quickly within the community. The huge success of GenBank is due to the fact that many journals adopted the Bermuda principles (Marshall 2001), which state among other things that DNA sequences should be rapidly released into the public domain. There is a crucial interplay at work between individual researchers and other actors within a field such as funding agencies, journals, and conferences. On the one hand, individual researchers are often bound by the rules that are made by those institutions because they depend on them as sources of funding and as publication outlets. On the other hand, the boards and committees steering these institutions are (at least partly) made up of the same researchers. Many researchers are sitting on conference committees, editorial boards, and policy advisory boards. They are thus shaping the community and commonly defining what is shared pratice among its participants. In their role, they can advocate open practices and propose rules that help establishing an open science. Nonetheless their digital identities and online activities constituted a ‘parallel’ academic life that developed as a self–legitimating approach within a traditional mode of knowledge production and distribution. These tentative efforts were not acknowledged in their respective communities, struggling to become identifiable open research practices. Indeed, some interviewees called for clear institutional rules enabling sharing practices — especially in teaching and learning — that might slowly produce a general change of attitude and overcome current isolated initiatives by a few pioneers of open scholarship. Most researchers are neither completely open nor completely closed. There is no black and white, but different shades of grey. Nonetheless, there are many researchers out there who make their publications available or put their source code online. In my opinion, it is necessary to get these reseachers aboard, not to drive them away with endless debates whether their research is “truly” open. Don’t get me wrong: it is important to have discussions about the optimal characteristics of open science, but not at the expense of making open science an elitist club where only a small minority can enter that satisfies all criteria. From a community perspective, it is the commitment to openness that matters, and the willingness to promote this openness on editorial boards and program committees. It seems that such a holistic view is gaining some traction: in a recent Web Science paper, R. Fyson, J. Simon and L. Carr discuss the interplay between actors regarding open access publications. Another good example of an inclusive approach is the Open Science Project here in Graz. 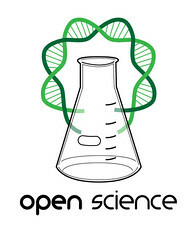 The Open Science Project is a group of students led by Stefan Kasberger that tries to do all of their study-related work according to open science practices. This means that they try to use open source software for their homework assignments and make the results publicly available. They go to great lengths in their effort as they also try to persuade lecturers to follow their example and make their scripts openly accessible. Science is one of the greatest endeavours of mankind. It has enjoyed enormous growth since its inception more than 400 years ago. Science has not only produced an incredible amount of knowledge, it has also created tools for communication and quality control. Journals, conferences, peer review to name just a few. Lately, serious shortcomings of these established instruments have surfaced. Scientific results are often irreproducible and lead to ill-guided decisions. Retraction rates are on the rise. There have been many cases of high profile scientific fraud. In our view, all of these problems can be addressed by a more open approach to science. We see Open Science as making the scientific process and all of its outcomes openly accessible to the general public. Open Science would benefit science, because it would make results more reproducible, and quality control more transparent. Open Science would also benefit the society by including more people in the process and sparking open innovation. Besides the greater good, open science also benefits individual scientists. Research has shown that papers that are openly accessible are cited more often. If you share source code and data, you could get credited for these parts of your research as well. If you talk about your methodology and share it with others, this will bring attention to your work. The internet provides us with the technology to make Open Science possible. In our view, it is time to embrace these possibilities and innovate in the scientific process. It is very important to note that we see Open Science as a community effort that can only work if we include as many people as possible. We know that it is not possible to open up entire work processes overnight. In our view, this is not necessary to contribute to an Open Science. The idea is to open everything up that you already can and work towards establishing open practices in your work and your community. You might already have papers that you are allowed to share in a personal and institutional repository. You might have source code or data that you can easily publish under a permissive license. And you might be sitting on a board and committee where you can bring open practices into the discussion. If you agree with this point of view, you are encouraged to sign the declaration below. If you would like to comment on the manifesto, or add your own ideas, please go to this OKFN Pad. really nice sum up text. 1. corrected some wording in the pad. 2. maybe work together on some more detailed, concrete input for the 3 points. but keep it small and simple – the central theme is really good from lenght and content. 3. direct to other projects and concepts for more details at the end, like open definition, free software foundation or so. Brilliant initiative indeed and nice text! Maybe I would add something related to the extent to which potential for openness (in different ‘shades of grey’ as you nicely said) also provides new opportunities for doctoral/young researchers. I mean, it can help them to not reinvent the wheel and is likely to expose them to diverse typologies of academic identities, beyond the core relationship apprentice researcher/supervisor. The challenge (and commitment) here would be to enable such kind of tentative, self-organized agency on part of doctoral students, as integral part of their formation. Antonella, Stefan, thanks for your nice words! Your input is very valuable. It would indeed be good to reach out to PhD students as they represent the next generation of researchers. This fits nicely with Stefan’s comment on linking to other projects and concepts. It is not the goal to replace open science existing initiatives but to make researchers aware of them. Nice words and valuable contribution, indeed. But what is this “inception of science 400 years ago”? I think this dating is very controversial (to say at least) and unnecessary burdens the message. This should be made more clear in the text. I definitively like very much the idea of inclusive approach to open science. It actually makes more sense than having strict rules to determine whether a scientific work is open or not. I think the manifesto expresses very well the idea of the approach and the motivation behind it; you’ve done a great job there. I’d sign the petition with no doubt! This is not a ‘petition’. A petition is asking for/demanding something – we want a new school; we demand that Bloggs should resign. The is is more like a manifesto, as a couple of others have described it. But either way, it needs *a lot* of work – as it stands, it is too long-winded, wordy and lacking in ‘bite’. A petition/manifesto is not an essay. For an example of what a manifesto should be like, take a look at http://cloudappreciationsociety.org/manifesto/. Robert, thanks for your comments and for reminding me of the brilliant Cloud Appreciation Society. Your concerns abou the word “petition” make a lot of sense. Maybe it is more of a manifesto or a declaration after all. Regarding the length, I think there are different approaches. Take the altmetrics manifesto (http://altmetrics.org/manifesto/) for example: it gives a thorough introduction to the subject and includes even such things as a roadmap. I was aiming for something that explains open science in brief to those who are not familiar with the concept (or that have a vague understanding) without boring those who are already involved in it. But perhaps we need two versions: one that only covers the main points, and one that explains the underlying ideas in more depth.